When building the patient API we've been using Fiddler for debugging and testing of the REST protocol. Here's a screenshot showing testing of the PUT method using JSON. Here at FOTO we are a Microsoft .Net shop so our SOAP testing application is built as a windows console application in VS2010. Please feel free to download it and use it as jumping off point for your implementation. If you've used web services via WCF before then it should look familiar. 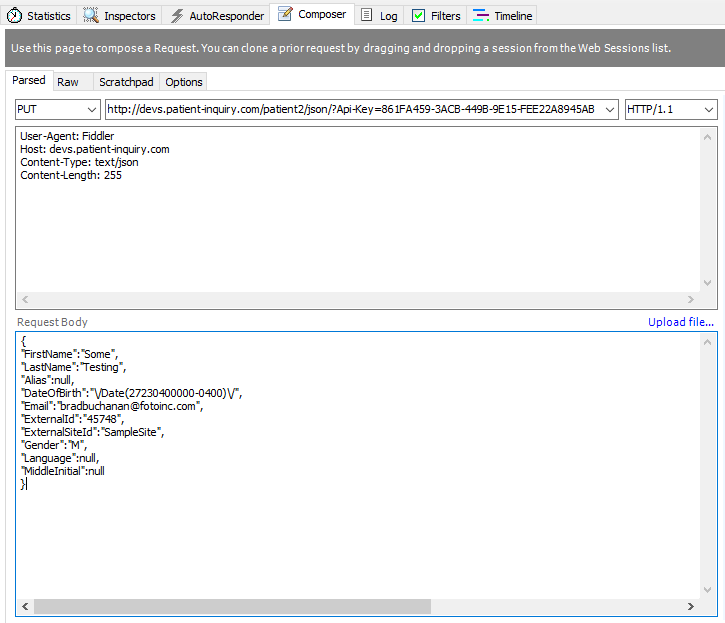 The biggest item to pay attention to is the CustomMessageInspector.cs which is responsible for injecting the API Key into the header.